Blog commenting…Why do you comment on other blogs? I believe comments are vital to a blog. It’s what keeps us going. Getting feedback from readers is one of the most important aspects of having a blog. If we didn’t get any comments, we’d actually wonder if anyone reads what we write. YOU readers are the focal point of our blogging. We have you in mind when we write. So I wanted to say a huge THANK YOU to all of you who take the time to leave comments in our posts. We appreciate all of you so, so much! 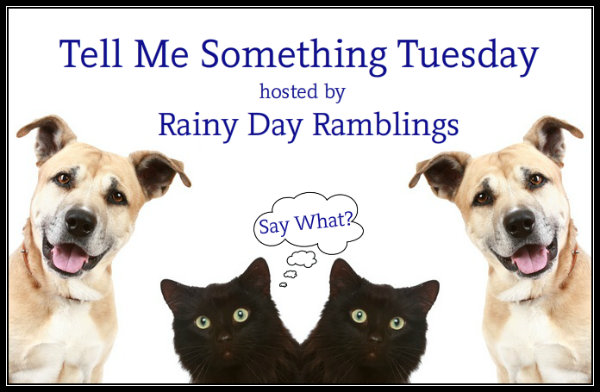 This entry was posted in Books, Tell Me Something Tuesday and tagged blogging, Books, Tell Me Something Tuesday. As a book nerd, it is such a relief to find others who suffer the same affliction. Most people don’t appreciate the imagination of an avid reader. Our minds can be scary places. It is nice to ramble on and on, about the finer points of a book, and have someone reply, “I know, right?”. I love reading reviews and comments about books I have read, or even ones I haven’t. It’s good to know, I’m not the only one out there. ‘m new to all of this…I just rediscovered reading for pleasure (especially romance, blush!). This is an entirely new world, I didn’t even stop to consider that you even cared what I thought. But after reading your post, I will leave messages. I know I love it when an author responds to a message I leave on FB. I’m not a blogger, but I certainly appreciate the creativity, imagination, and thought that goes into blogging daily or even several times a week. I’m sure some days it even feels like a chore. So I like to let the authors know that yes, someone is reading and enjoying their words. I also like to read other people’s comments because many times those are just as entertaining as the actual blog. :) So whether you’re a blogger or a commenter, I love it all! TGFB (thank god for bloggers)! This is how I learn about books. I leave reviews on what I read to help other readers.